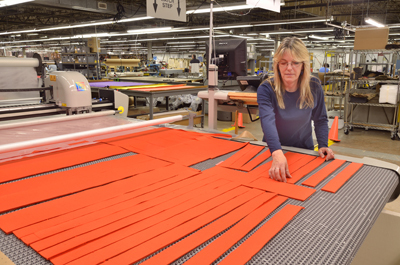 Since 1972, Fieldtex Products has invested both time and money in mastering in a wide range of production capabilities to produce custom soft sided cases, back packs, vests, holsters, pouches, covers, webbing assemblies, transfer sheets, straps, and belting, all with the goal of enhancing our competitiveness in meeting customer requirements. We have also developed relationships with key supply partners to rapidly provide new capabilities and materials when the need arises, without delays to our customers. We are well positioned to produce products for industrial, commercial, medical, military, government, and OEM markets with unique products conforming to customer specifications. Our uniqueness is the creativity and innovation of our designers, engineers, and builders to meet the rigorous demands of our customers and their projects. We go above and beyond to understand and research new technologies, materials, and capabilities to provide a cost effective solution for our customers on their project.